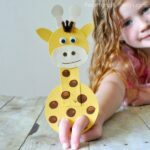 With the huge amount of animal crafts we have made here at I Heart Crafty Things over the years I am sure you can tell I am a big animal lover. 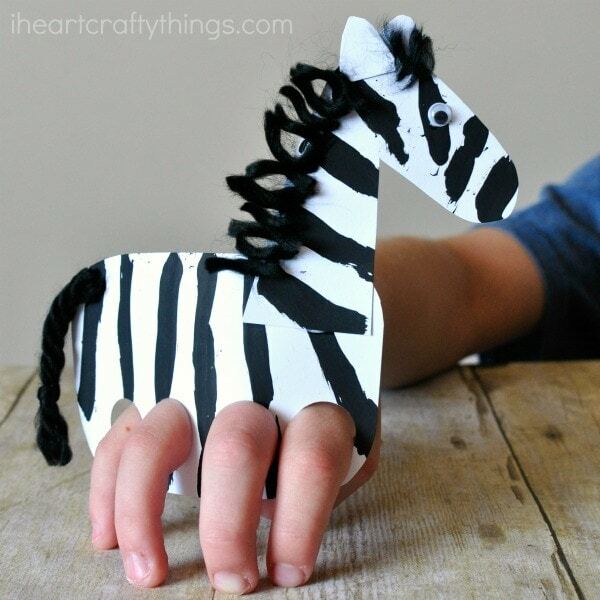 I’m constantly thinking of fun new ways to create my favorite animals in craft form and our latest is this finger puppet zebra craft. 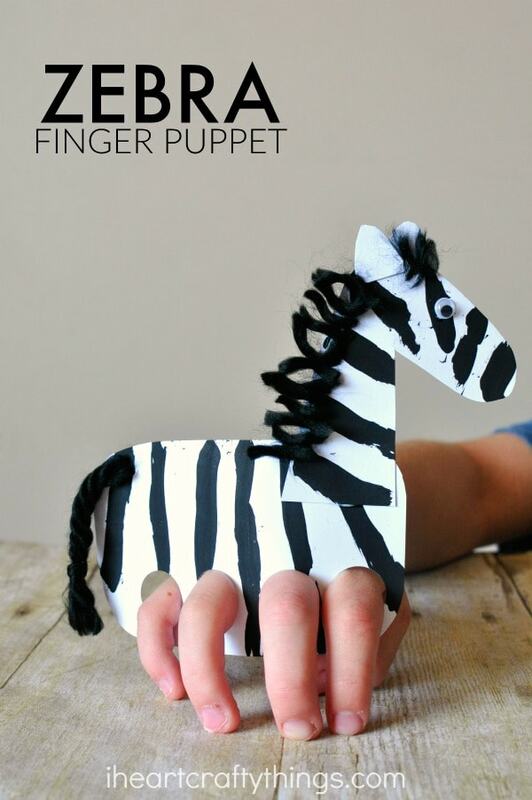 My kids love playing with finger puppets and the way this cute zebra can gallop around makes it a new favorite at our house. 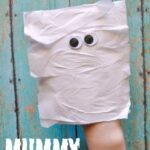 I think your kids will enjoy it too! Look for some fun book recommendations at the bottom of this post. 1. Start by cutting out a rounded rectangle shape for your zebra body and zebra neck and head shape from your white cardstock paper. You’ll also want to cut out two ears for your zebra. 2. Punch four holes into the bottom of your zebra body with your 3/4-inch circle cutter. 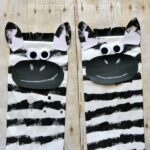 These will be the finger holes to make your zebra a finger puppet. 3. Paint black stripes all over your zebra body, neck and face. Set the pieces aside to dry completely. 4. Glue your zebra neck and head onto your zebra body. Then glue your ears onto your zebra, one in front and one on the back of the head. Glue a googly eye onto your zebra face. 5. Cut out small strands of black yarn and glue them onto the back of the zebra neck and a few on top of the zebra’s head. Now cut off a black piece of yarn for the zebra tail. We tied a knot at the end of our tail so it wouldn’t fray all the way to the top over time. Once your glue is dry, your zebra is all ready for play. 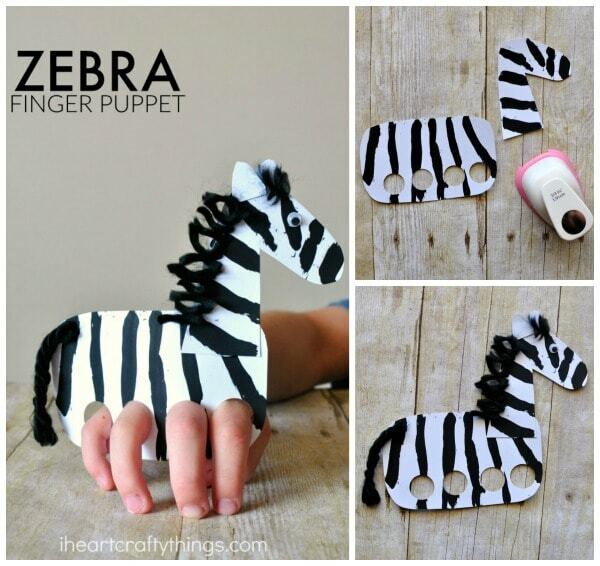 Simply place four fingers into the finger holes and you can have fun galloping your zebra around.